Please note there will be no class on Wednesday 25th April 2018 (ANZAC day). We will resume weekly classes the following week. 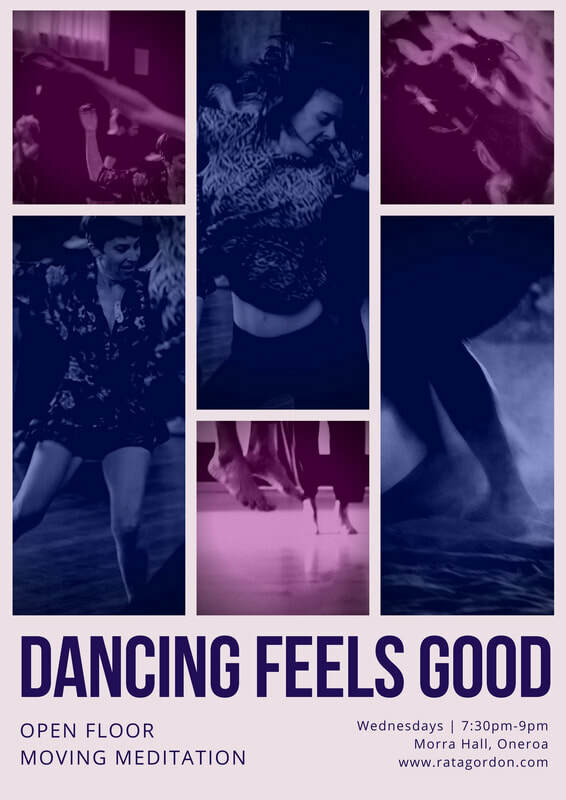 Dancing Feels Good. Open Floor Moving Meditation. Morra Hall, Waiheke Island. Rata Gordon. Open Floor Dance.